With the nation’s highest poverty rate and one of the nation’s worst unemployment rates, it’s pretty clear that California is in need of more economic development. This means generating sufficient private sector job growth to put large numbers of currently unemployed Californians back to work. California has a commission with just such a mission. It’s chaired by Lt. Governor Gavin Newsom. And it’s defunct. In a rare interview, Newsom, who was elected four years ago, made the audacious claim that he has been “much more aggressive” than his predecessors in the Lt. Governor role. Yet if the Commission on Economic Development is the benchmark, Newsom fails his own test. The 17 member commission is statutorily chaired by the Lt. Governor, with its 16 other members appointed by the state’s Democrat Governor Jerry Brown, and the Democrat-controlled legislature. Yet, no members have been appointed, and Newsom himself does not constitute a quorum. Its last meeting was 18 months ago. Newsom’s failure to convince any of his fellow Democrats to populate his commission demonstrates how isolated the current Lt. Governor is even within his own party, and how one-party rule in Sacramento leads to atrophy. When a Republican occupied the Governor’s office and made appointments to the Commission, the Democrats in the legislature were given incentives to make their own appointments, lest the body be dominated by Republican picks. Enough of these appointments were made during Arnold Schwarzenegger’s term that the commission still functioned when Newsom became its chairman. Since then, with Governor Brown’s decision to marginalize Newsom by making none of his appointments to the commission, the Democrats in the legislature haven’t bothered to do so either. So persuasive is Newsom with members of his own party. The result is a body specifically formed to tackle California’s most pressing economic problems sits dormant. California’s economic condition and outlook are challenged. Economist Art Laffer and the American Legislative Exchange Council rank the state’s economic outlook 47th in the nation and by far the worst in the west. Punishingly high taxes, regulatory morass, frivolous lawsuits and sky-high prices for energy needed to manufacture and distribute goods all make nearby competing states look great by comparison. 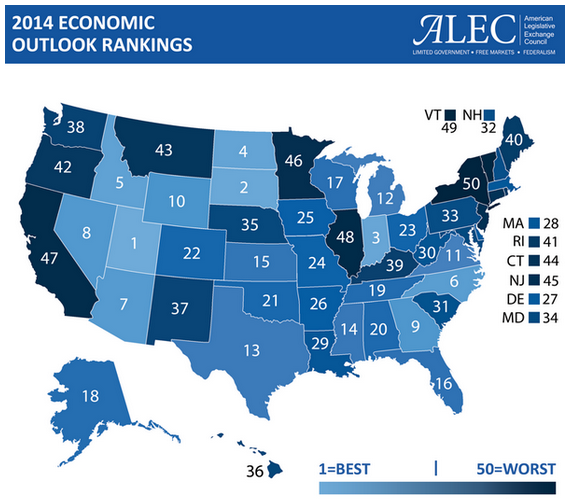 In the west, California competes with Arizona (ranked #7 in economic outlook), Nevada (#8), Idaho (#5) and Utah (#1). Then there’s Texas, which has been luring one California employer after another, such as Toyota. There is one area of economic development Newsom has been focused on: his own. Since becoming Lt. Governor Newsom has turned his attentions back to his private business interests, namely Plumpjack, his wine business. Which according to the industry press has been growing over the last few years. Good for him. Not so good for the rest of us. And certainly not good for the 9 million Californians who woke up this morning in poverty. State Constitutional officers have a moral obligation to work hard, every day, for the people who sent them into office. That is not the prevailing philosophy in the Lt. Governor’s office today, and the single biggest reason for a change.